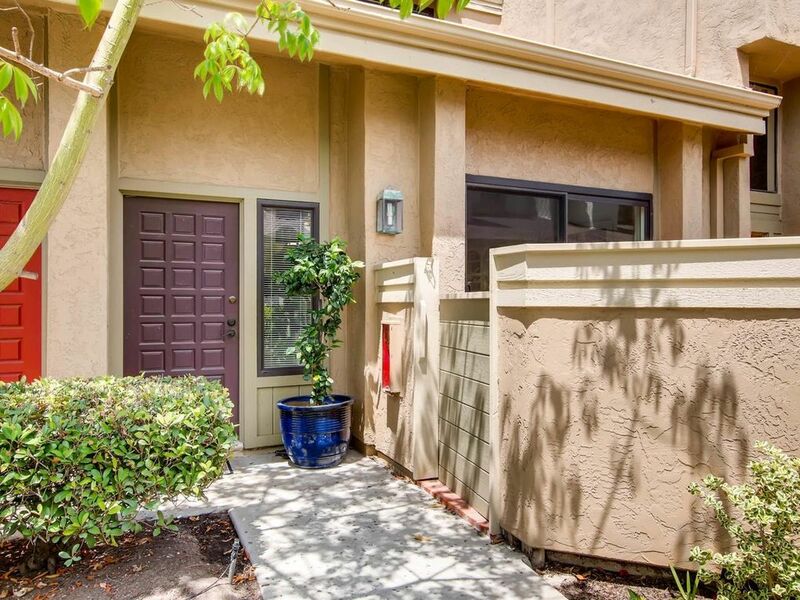 Bright, Light & Open Split level townhome in desirable Eastbluff! East-West facing. Located in a quiet, insulated location of the complex and close to Villa La Jolla Park. Laminate Wood Floors, New Carpet, Whirlpool Stainless Steel Appliances & Silestone Countertops in Kitchen. Bonus Upgrades include; CENTRAL A/C, DUAL-PANE WINDOWS/SLIDING GLASS DOORS, and SKYLIGHTS. Walk to La Jolla shopping and restaurants....Whole Foods, Trader Joe's, etc. and conveniently close to UCSD, UTC, La Jolla beaches & freeways.